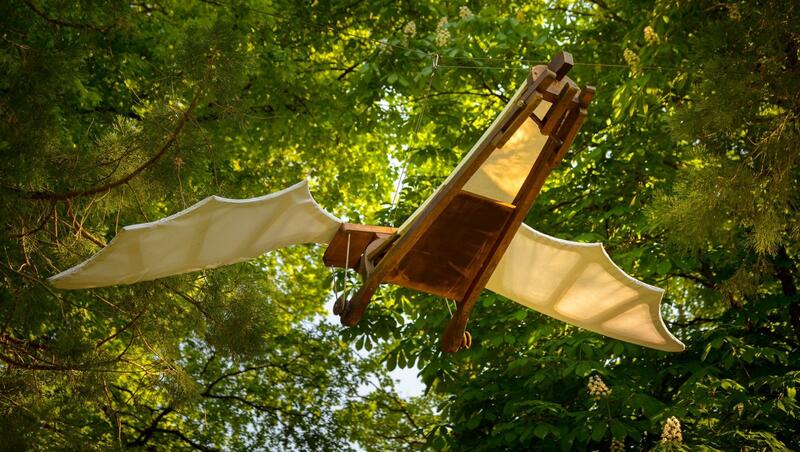 In honour of the 500th anniversary of Leonardo da Vinci’s stay in Le Clos Lucé, the château is dedicating its entire cultural program to his genius and his passion for flying in particular. Even as a child Leonardo da Vinci observed birds with fascination, and he later devoted part of his research to studying avian flight techniques. His attention then spread to various flying machines which he studied through numerous drawings and sketches. In 2018, Le Clos Lucé will be illustrating the theme of human flight through exhibitions and scenographic visits. “From the myth of Icarus to modern aeronautics” will retrace the history of inventions linked to human flight and display inventions by Leonardo da Vinci that have influenced modern aeronautics. It will also include virtual and interactive animation through digital tablets as well as workshops in which participants can make their own flying machine. Lastly, four late openings scheduled for the summer will offer visitors the opportunity to attend new performances by La Cour des Contes and a music concert, as well as discover the master’s residence by night.